District transportation is provided for students who reside in the northwest corner of our school boundaries. Identification Cards: Students must present and scan a valid school identification card with the proper bus assignment indicated prior to boarding and exiting the school bus. Identification cards are equipped with RFID tracking chips to identify who is on the bus. Failure to present a valid ID card will lead to denial of service. In addition, busing is provided for students with special needs that make it difficult for them to get to school, to transport athletes to and from athletic events, and for enrichment field trips. Fares subject to change without notice. Must have exact fare as drivers do not carry change. 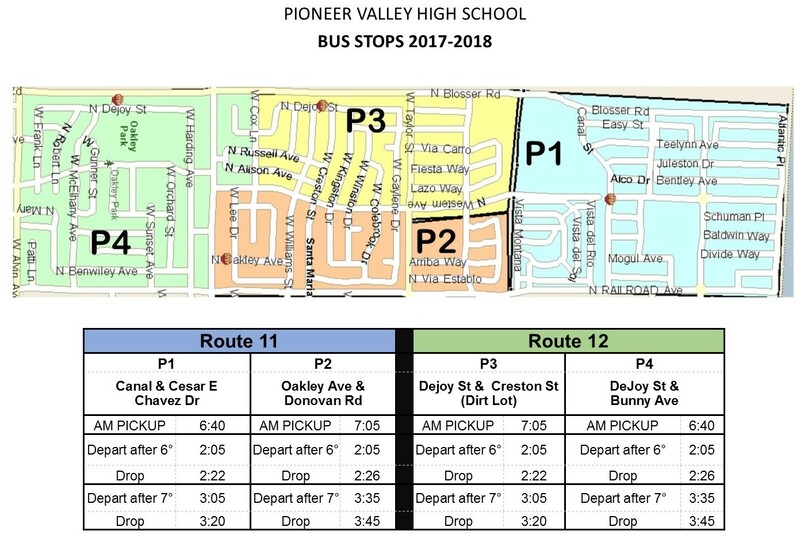 For students who leave school mid-day, there is a SMAT bus pick-up at Domingues/Panther at 11:43 or 12:13.